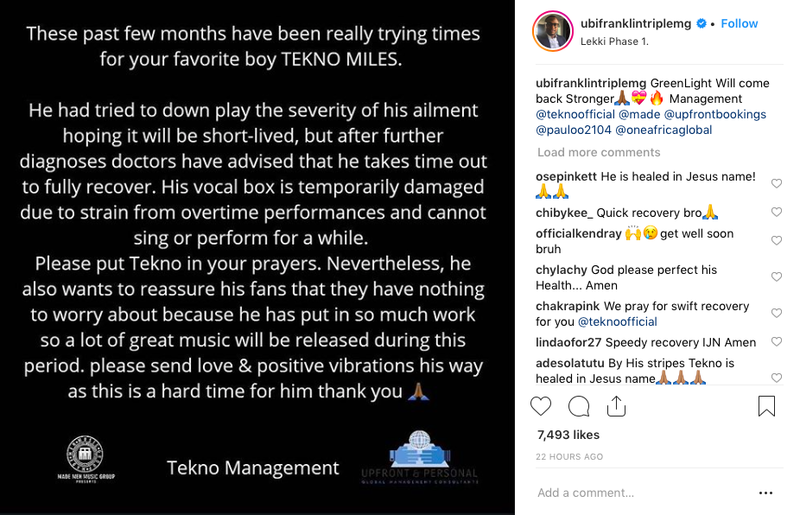 Manager of musician Tekno Miles from Nigeria, Ubi Franklin has provide information about the singer's silence while mentioning the reason that it is a sound loss and thus why Tekno should stay out of the music work. Ubi Franklin has reported this via his Instagram page and said that doctors have advised the Singer to stay outside the music life to get full recovery after having diagnosed the problem. 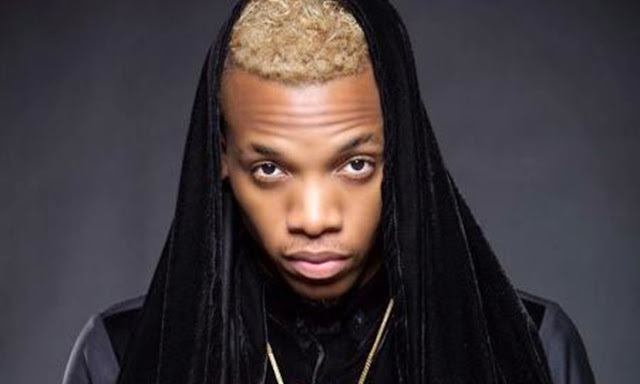 Ubi Franklin has mentioned the cause of the sound loss and said that it has come from singing without having a long break, and because of his situation, Tekno can not sing or do a show but will release some of his completed songs. This is not the first time to singer Tekno to stay out of music, In April 2017 Tekno announced postponement of some of his shows and went to the United States for medical treatment after he was disturbed by an increase in acidic body and sometimes his body was getting weak and so asked relax and stay out of music issues.